This entry was posted on January 20, 2015 by unsettledskies. 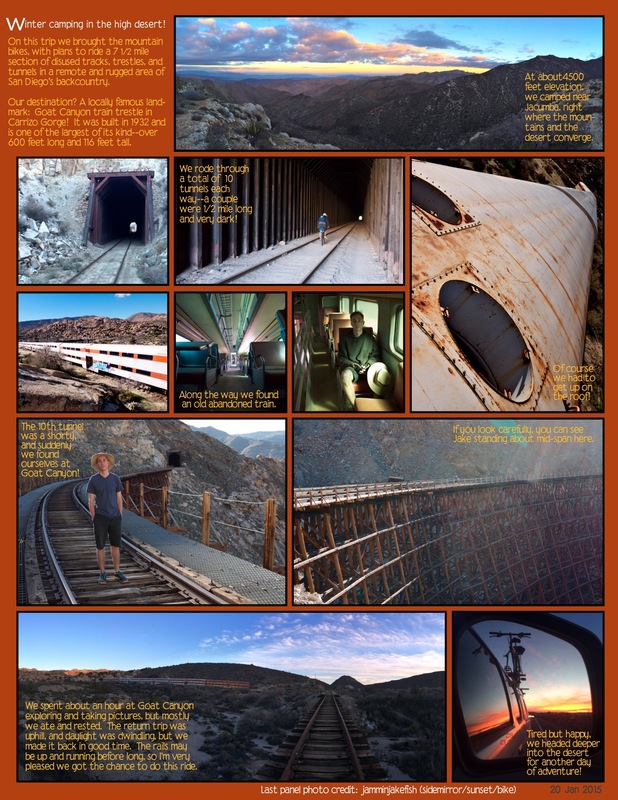 It was filed under Comic, Graphic Novel, San Diego and was tagged with Comic, Comic Life, Desert Hiking Camping Comic, Friends, Goat Canyon, graphic novel, Hike, Mountains, Nature, outdoors, San Diego, train, train tracks, Tunnel. Pretty Cool! The train looks good from the inside. We spent an hour exploring it, it was fun! Great pics, stirring up my need to do some of that again soon….